Back in 2004, the 25th of August became known as Frankie Knuckles Day in Chicago. 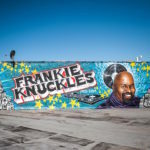 The acknowledgement was accompanied by a sign reading ‘Frankie Knuckles Way’ and came validated by a nod of approval from history books, devoted clubbers and president Obama alike. Today, the industry pines over the unexpected loss of this heralded house hero, but soundly celebrates a lifetime spent bruising for a genre that could have easily fallen by the wayside without his unwavering input. If it weren’t for Frankie Knuckles ‘way,’ one of dance music’s most crucial genres would never have found its feet. When we call him the Godfather of House, we do so fully aware of the ironic title for such a gentle and welcoming human being, but fully aware that it was his way or the highway where the lifeblood of North American house music has ever been concerned. Dancing Astronaut remembers the true genre pioneer and a man who scribed the history books of the underdog sound. It is easy to recycle the earliest facts of Frankie’s history. It has come to dictate the lifeblood of what is now known as Chicago house. The biggest mistake I ever made in his presence was during our first encounter in 2010, where I managed to refer to this period of time as a movement. To say I was told off would be an understatement, but Frankie was never one to lecture. If anything, he was grateful the world still wanted to know about the four decades that saw him master, dictate and scribe the history of an essential movement that took dance floors across the globe forward, he just didn’t want the revolutionary connotations that came with it. That was just the humble nature of Frankie. The Bronx-born disc jockey leapt from landmark to landmark in his prime. Traditional media outlets focused on the Wikipedia remix credits for the most part, though remixes from MJ and Diana Ross were the crux of what earned him a long-overdue Grammy in 1997 as remixer of the year. Likewise, his hits speak for themselves, but remained very much isolated until the wider industry and musical technology opened up his archives to those hungry to dig into his musical heritage. To question the relevance of “Tears,” “Your Love,” and “The Whistle Song” would be futile, but to assume that they were the extent of his legacy would ring equally short. At 24-years-old, I’m not here to lecture you on my knowledge of the history books. As someone lucky enough to have met, quizzed and socialized with Frankie, I advocate that his later days held just as much relevance to the industry. Later collaborations alongside Erik Kupper saw Knuckles revisit his original pledge with a newfound energy. Talking to me in 2012, he detailed an ideal for house music that even the 21st century market couldn’t ignore, one that gave the genre an instrumental edge that listeners could sink their teeth into. The hits were revisited, striking remixes were orchestrated and alongside a host of essential live performances, Chicago house found a second wind that few could have anticipated. But we can’t blame the world for its fixation on that history book timeline. Frankie’s legacy was one of the most narrated success stories of dance music’s dotted ascent. Most beautifully, it all happened within his lifetime, allowing Frankie himself to bring to life the battle taken by those who pledged their lives to an uphill cultural journey that found liberation through the turntables. It made him an ambassador to the sound, filling published works, conference panels and TV performances alike with his prolific yet easy going aura surrounding the subject. On several occasions I teased him about the wave of journalists who would open or close their interviews with a request for Frankie to define what house music meant. He never shied from giving a forthright answer. If anyone deserved the task of defining house music, it was surely the man who made so many of its moments of clarity possible. Frankie’s legacy read pretty on paper, but it wasn’t simple. The Chicago pioneer reinvented himself on many levels, dealing with changing tides, technology and physical health issues along the way. When all was said and done, the man wasn’t one to rest on laurels. That hunger to keep the fire burning saw him make a forthright return alongside Nocturnal Groove and his adoring peers The Shapeshifters, make countless high profile spotlights documenting the history of the genre and kept the fire burning with a respectable live presence that touched every continent imaginable. When Frankie Knuckles found his second wind, his gratitude was surpassed only by a hunger to give the next generation a taste of the bug that shaped his very professional existence. Before Knuckles, house music had a shelf life. Had it been left up to society and the hands of an America shaking with racial tension, the music would have certainly not held its corner. In his hands, the race and sexual orientation of clubbers became irrelevant. If you could get in on the groove, you were in it for life. For that, countless generations owe Frankie their youth, livelihoods and for the most part, a love for electronic music shared between generations. As an industry, the medium for icons has shifted constantly. If you want a social media success story or brand-studded example of cashing in on cultural kudos, Frankie’s story isn’t the one. As we consider the future of house music and the unprecedented progress it has made since those brutal days of burning disco records and scouring the world for a place where people could be themselves, we must acknowledge that without Frankie Knuckles, too many people would have missed out on one of the most underplayed musical revolutions that we found at the drop of a tone arm. Robert Johnson immortalized acoustic blues licks with a delta twist and John Coltrane breathed raw soul into the tenuous American jazz circuit, but Frankie Knuckles span house music an immortal path in modern music. As the world flocks to try and take Frankie Knuckles to number one, you can be sure of just one thing: Frankie Knuckles’ way will never be forgotten where the soul of a sound thought to be bloating at a rapid pace is concerned. In a world of impermanence and overnight success, the next generation of aspiring icons can learn from the conviction and genuine endearment for music Francis Nicholls cast across the world.